The Bay Area music festival returns with more East Bay concerts than ever before. 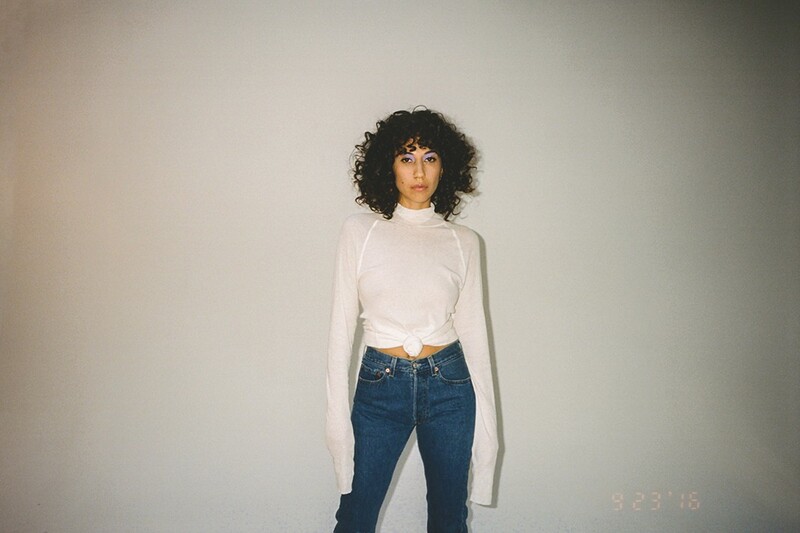 Argentina-born singer Tei Shi plays Bimbo’s 365 on Wednesday, Feb. 21. There has never been a better time to attend Noise Pop as an East Bay resident. The Bay Area indie music festival first crossed the bridge to the Fox Theater back in 2010, but spreading to other venues has been slow. Now in its 26th year, Noise Pop is throwing a record number of events in the East Bay, with eight shows across four venues. According to founder Kevin Arnold, that's going to continue to be a focus as Noise Pop grows. "It's such a big story to unpack the shift of artists out of San Francisco, but Oakland has more intensely lately become the center of the arts and the Bay Area music scene," he said. This year's lineup also notably features a few East Bay artists, including headliner Tune-Yards, emo band Mom Jeans, and composer Chuck Johnson. Noise Pop is perhaps best known for nabbing indie acts right before they make it big, and with more than 100 artists slated to perform from Feb. 19 to 25, this edition is no exception. It also sees Noise Pop venturing further into hip-hop, R&B, and electronic music, though part of that is a product of today's increasingly genre-bending music culture. "It's really exciting times," Arnold said. "Boundaries are being pushed." Attendees can buy tickets to individual shows or a $205 all-access badge, which gets you into any concert so long as you show up an hour before doors open, plus film screenings, happy hours, and special events. Here are nine don't-miss shows, spanning the East Bay and San Francisco, in chronological order. No exaggeration: Dengue Fever is likely the most famous modern Khmer rock band in the world. Cambodia's music industry was decimated in the 1970s during a brutal genocide, and for the past 15 years, this Los Angeles band has been picking up where the country's musicians left off, with a mix of Khmer covers, Vietnam War-era surf rock, and psychedelic guitar. More recently, the band has been experimenting with new sounds, incorporating Cambodian hip-hop, Afro percussion, and Latin grooves to their vintage Cambodian framework. For the uninitiated, this unique revival promises to be a singular concert experience. Argentina-born singer Tei Shi's 2017 record Crawl Space sounds unusually confident for a debut. It's full of smooth, slow, and seductive indie pop and R&B, with minimalist instrumentation highlighting her breathy voice that transports you to another dimension. That's perhaps most exemplified in the light, sparse, and gorgeous "Como Si," which she sings exclusively in Spanish, while more poppy, synth-infused tunes feel reminiscent of Grimes or FKA Twigs. Like a lot of Noise Pop shows, this is a chance to see the artist in an intimate setting before she inevitably blows up. Multi-instrumentalist, Oakland resident, and Filipino-American Melina Duterte crafted her breakthrough record Everybody Works alone in her bedroom studio — a remarkable feat given how big and elaborately orchestrated the songs sound. The album came out last March to a flurry of tour dates and critical acclaim. There's a dreamy, fuzzy quality to her work, but each song feels distinct, marked by unusual song structures and blends of funk, pop, and psychedelic rock. Performing with Japanese Breakfast, Jay Som's Noise Pop appearance is already sold out, though badge-holders will still be able to get in. There's an easy-going down-to-earthness that makes Caleborate, one of the fastest-rising rappers in the East Bay, so easy to love. His latest record, Real Person, once again delivers fresh electronic soundscapes imbued with soul samples and a joyous '90s vibe. Inspired by Chance the Rapper and J. Cole, Caleborate crafts similarly thoughtful, passionate, and personal lyrics, though he started dabbling with politics on Real Person as well. Iman Europe, Cash Campain, and Yeek open this all-ages show. Formerly of San Francisco, Los Angeles-based Chasms returns to the Bay Area to open for Australian singer Carla Dal Forno. It's sure to be an emotional performance, given that the duo's Shannon Madden lost her brother in the Ghost Ship fire — just weeks after releasing their debut full-length record, On the Legs of Love Purified. The album is full of distortion, reverb, and darkness — a trance-inducing piece of experimental rock. But some of their new songs are inspired by the sort of techno that Ghost Ship parties were known for, and if Chasms plays them in Oakland, they'll likely resonate with an elegiac quality that would be lost on other audiences. An Oakland act headlining Noise Pop is basically unheard of, and we should absolutely celebrate the development. Last month, Tune-Yards released I Can Feel You Creep Into My Private Life, a dance-ready, electro-pop album inspired by Haitian and Kenyan music. But even more striking is what Merrill Garbus chooses to explore thematically: cultural appropriation as a white artist who has drawn from Black musical traditions. It's unusually vulnerable, brutally self-aware, and powerfully indicative of the time we're living in. Bonus: Thao & The Get Down Stay Down and Sudan Archives also perform. This is a first for Noise Pop. Ambient musician Robert Rich will perform from 11:30 p.m. to 8 a.m., and yes, you read that correctly. The Bay Area composer has conducted such sleep concerts around the world for decades — his first informal effort took place when he was a freshman at Stanford University, where he researched sleep. His layered, gentle soundscapes are meant to create a sonic environment for attendees to explore unique states of consciousness. Perhaps unsurprisingly, this concert is presented in collaboration with cannabis brand Flow Kana. A disco popstar by age 20, Shamir Bailey found his non-binary identity and countertenor voice — sounding neither masculine nor feminine — picked apart by the media and questioned as an aesthetic choice. His latest record, Revelations, written and recorded within two weeks shortly after being diagnosed with bipolar disorder, reflects a major sonic shift. It's decidedly low-fi and stripped down, with raw, confessional lyrics about anxiety and heartbreak. These are songs for introverts and outsiders — certainly, they're not the glittery, danceable ditties of his electro-pop days, but they mean so much more. Easily the most major hip-hop attraction on the Noise Pop lineup, Ty Dolla $ign has maintained both critical acclaim and mainstream success since first emerging in 2012 while still escaping pop star status. That could change with his most recent record, Beach House 3, which pools together a stunning list of collaborators, including Wiz Khalifa and Pharrell Williams on the refreshingly stripped-down "Stare;" Future and Swae Lee on low-key trap song "Don't Judge Me;" and Skrillex and Damian Marley on the tropical-infused track "So Am I." More than the impressive genre-fusing and catchy hooks, though, Ty stands out for his strong songwriting. Understandably, this was one of the first shows to sell out to the general public, but badge-holders shouldn't miss it.